At DRX Duct, we have been delivering vent cleaning in North Plainfield and Bridgewater, NJ to homes with our 50 years of HVAC and duct cleaning experience. Our unique 10-step cleaning process applies negative air pressure source removal when cleaning the HVAC conveyance system. This cleaning procedure is the BEST and most effective source removal method currently available. Our certified technicians follow the guidelines, procedures, and principles, that were put in place by NADCA and also the Indoor Air Quality Association. If you would like to schedule an appointment for vent cleaning in North Plainfield and Bridgewater, NJ call us today at 908.755.2950. The technicians at DRX Duct have always made it a priority to go above and beyond in our cleaning vent services in North Plainfield and Bridgewater, NJ, as well as our other residential services. 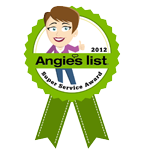 In 2012, 2013, and 2014, we were awarded the Super Service Award by Angie’s List and have also been rated an “A+” by the Better Business Bureau. We have always been committed to excellent workmanship, only hiring technicians who have the training and skills to handle any job. Because we take our work seriously and respect our customers, we guarantee that every site that we work on is safe, clean, and completely free of alcohol and drugs. By using innovative tools and equipment and following all protocol, our certified technicians are fully equipped to handle any cleaning vent service in North Plainfield and Bridgewater, NJ. If you need any referrals, have questions, or would like to set up an appointment for North Plainfield and Bridgewater, NJ vent cleaning, call DRX Duct today at 908.755.2950. When you want the best vent cleaning in North Plainfield and Bridgewater, NJ, call the technicians at DRX Duct today. 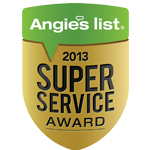 We are ready to provide better not only better indoor air quality, but a more comfortable home, as well. One of our main goals at DRX Duct will always be 100% customer satisfaction; we are able to provide this time and time again because of our hardworking technicians who are not only highly skilled but who take the time to answer questions, explain the how cleaning vent works, and ensuring that every job is performed like it’s the first job they’ve ever worked on. 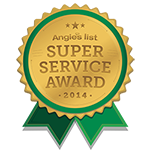 For a vent cleaning company who puts their customers first, call us today at 908.755.2950 for the best NJ vent cleaning. Updated on September 24, 2018 at 9:18 pm by DRX Duct Cleaning.